My husband has been in the habit lately of saying - this song is 30 years old or this film was released 50 years ago. Which of course makes me feel old (I'm only 50) but just sometimes I yearn for the olden days. When I was younger I used to collect stamps and it was always exciting to get a letter through the door with a stamp on it that I didn't have. I spent hours organising them into neat rows in my stamp book. Nowadays you get these boring labels printed out at the post office. I know you can still get stamps but they don't like putting them on even if you ask. You can buy all sorts of bulk value stamps in various prices, save a few pennies and get lots of different designs. 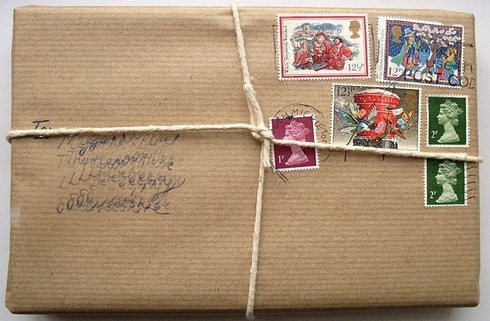 So if you receive a parcel from me, chances are it will be covered in lots of different stamps. 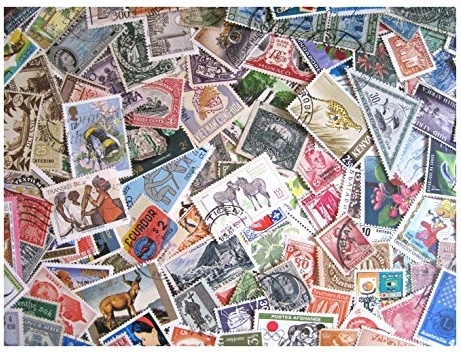 Don't throw them away - find someone who collects stamps or find a charity such as Macmillion to donate them too.